CHARLOTTESVILLE, Va.—Starr Hill Brewery is excited to announce the release of Four Kings IPA Pack, a very limited 12-pack featuring different variants of King of Hop Imperial IPA including Grapefruit King of Hop, Habanero King of Hop, and Lemon-Lime King of Hop alongside the original. Four Kings IPA Pack will be released on March 24 in the Starr Hill Brewery & Tap Room before being shipped to retail April 1 on draft and in package at exclusive locations across Starr Hill’s distribution footprint. First released in 2014 as part of the All Access Series, King of Hop Imperial IPA won the Gold Medal for the India Pale Ale Category at the Virginia Craft Brewers Festival the same year. 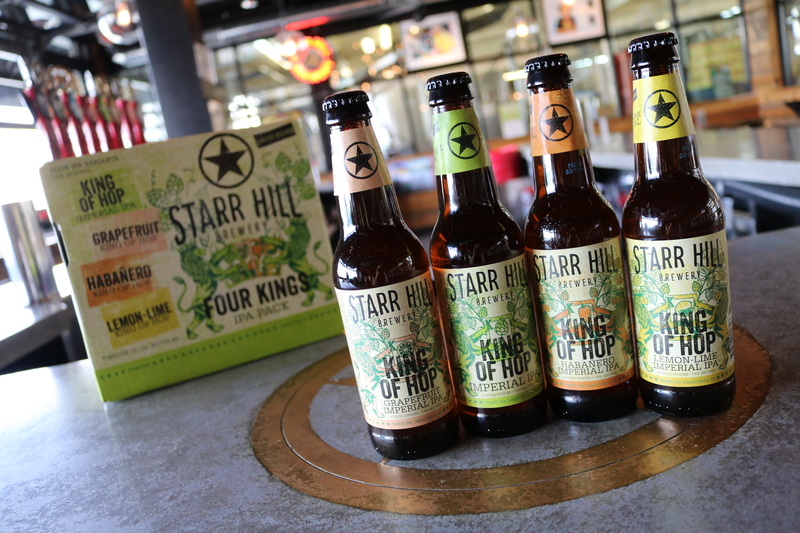 The Four Kings and All Access release of King of Hop will also showcase new packaging artwork as part of Starr Hill’s brand refresh that rolled out in Summer 2015. To find where Four Kings and other Starr Hill beers are available, visit www.StarrHill.com/Beer-Finder. Starr Hill Brewery is an independent, regional craft brewery born in a music hall in 1999 in Charlottesville, Virginia. Among the most award-winning craft breweries on the East Coast, Starr Hill has won 21 Great American Beer Festival, World Beer Cup and Great British Beer Festival medals. Starr Hill beer is distributed throughout the Mid-Atlantic and Southeastern regions. Please visit www.StarrHill.com for more information.